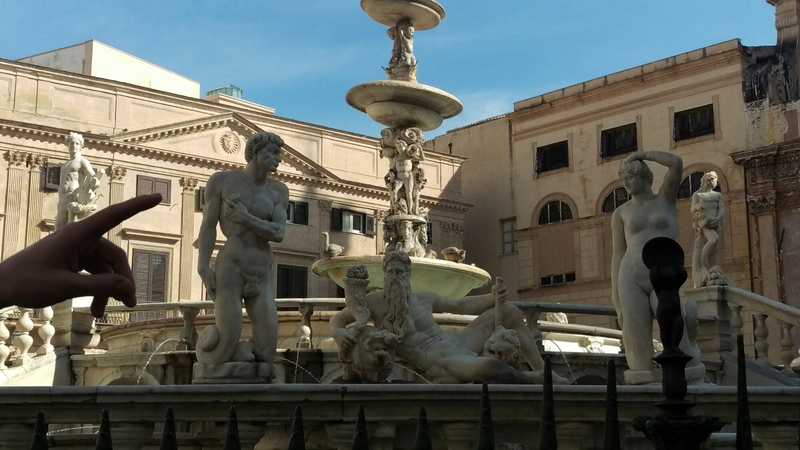 My favorite sight in Palermo was the Fountain of Shame. 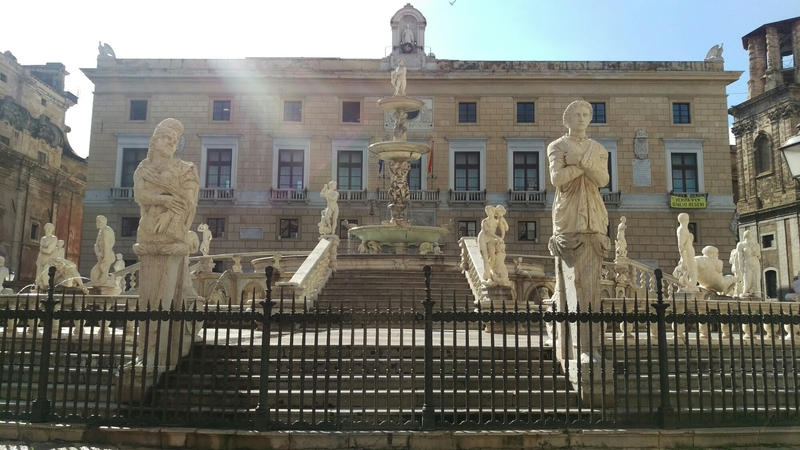 Its name comes from the nakedness of the statues, its location by a government building, which alludes to the corruption of the government, and the shameful neglect to another building next to it. Despite the supposed shame associated with the fountain, it is still gorgeous. I loved identifying the various statues of the gods through the intricate details representing symbols of the deities. We found Neptune, Ceres, Hercules, Bacchus, Apollo, and Diana for sure. Try to identify some gods yourself! This idea of corruption and shame continued during our Addiopizzo tour that evening. 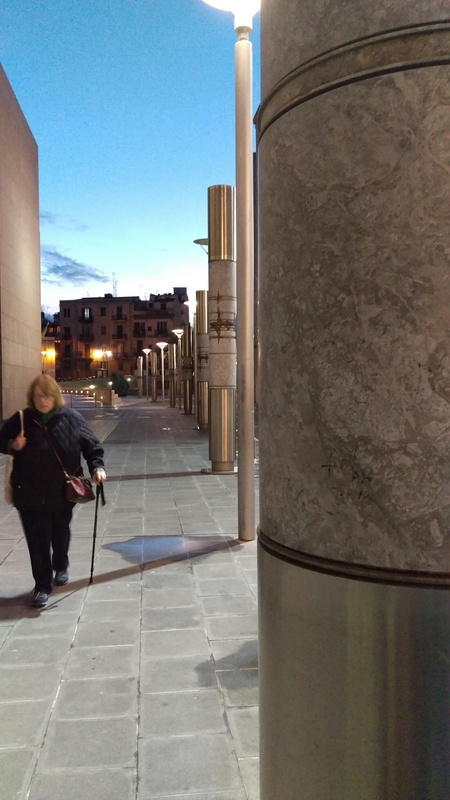 We learned about the Mafia’s role in the city, including how they stole money intended for infrastructure, much to Northern Italy’s exasperation. Addiopizzo works to end another corrupt Mafia practice: the pizzo, a tax that establishes the Mafia’s authority over business owners. This organization thus works to educate people such as ourselves on the pizzo and other fights against the Mafia. 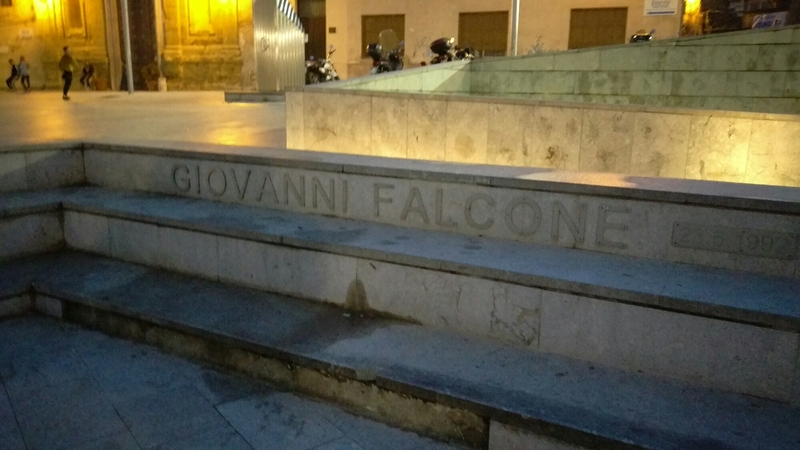 The Piazza della Memoria was an appropriate stop, as it remembers those who have fought against the Mafia and been subsequently targeted. As Professor Boyd declared, this mosaic of the goddess Tanit was the most important mosaic of the trip. While it may only be a stick figure, she is purposefully depicted in this simple form in all places. Tanit is a goddess associated with fertility, prosperity, and trade, thus being an important figure of the Carthaginians. 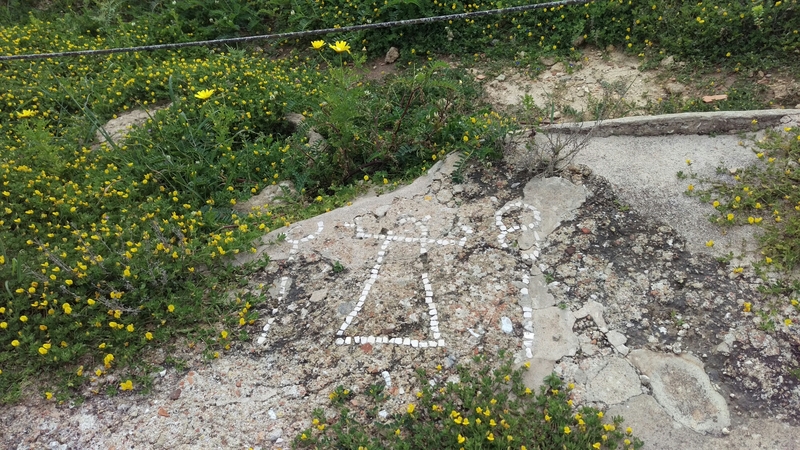 From the presence of this single mosaic, one can infer the presence of the Carthaginians in Selinunte, perhaps even a mix of Greeks and Carthaginians together. 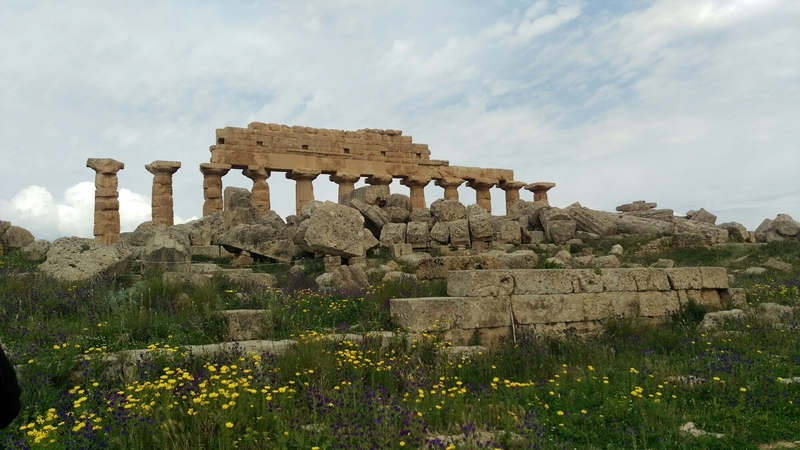 The Temple of Concord–shout out to Cicero for telling us the name–is stunning). These smaller moments were great times for bonding and enjoying delicious Sicilian food and I think they were just as important to our trip. 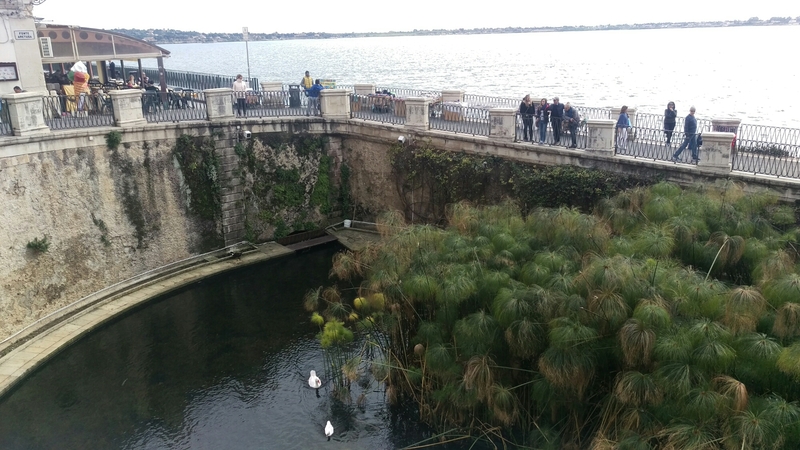 Just as it amazed me to stand near the ancient temples, the Spring of Arethusa equally moved me. It was at this body of freshwater that the nymph Arethusa supposedly arrived after fleeing the river god Alpheus. Arethusa explains her flight from Greece to Sicily to a grieving Ceres in Ovid’s Metamorphoses. 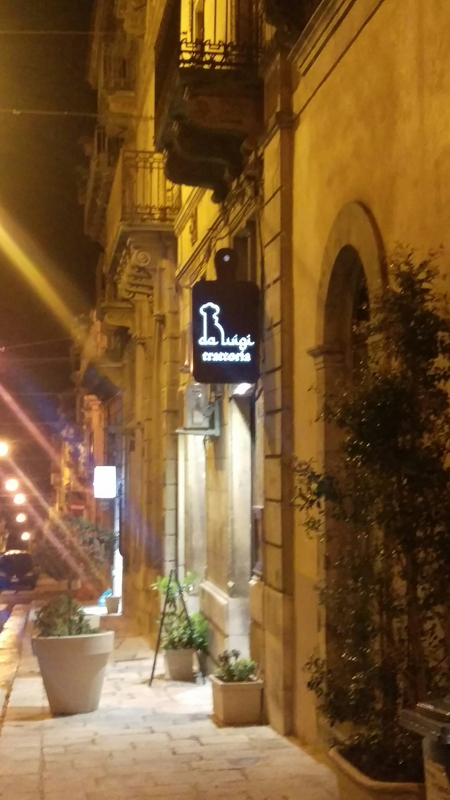 In this way, Ovid subtly connects the old Greek stories to real Sicilian places. 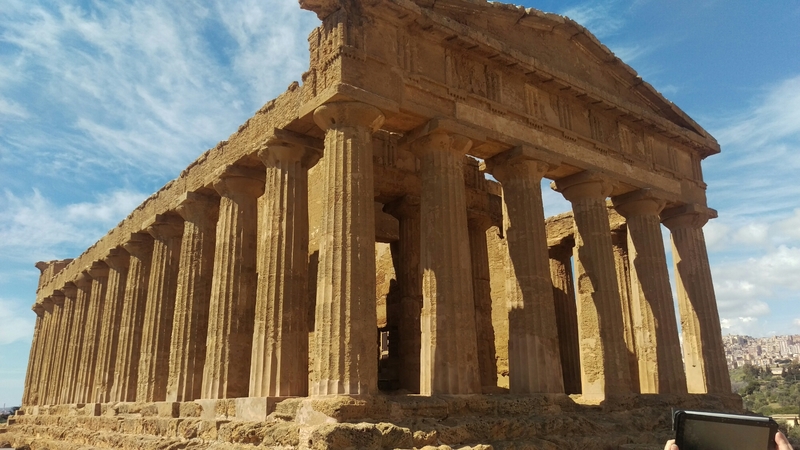 And that’s partially one goal of this trip—to connect the culture, history, and myths from Greece and Rome to Sicily in a concrete way. 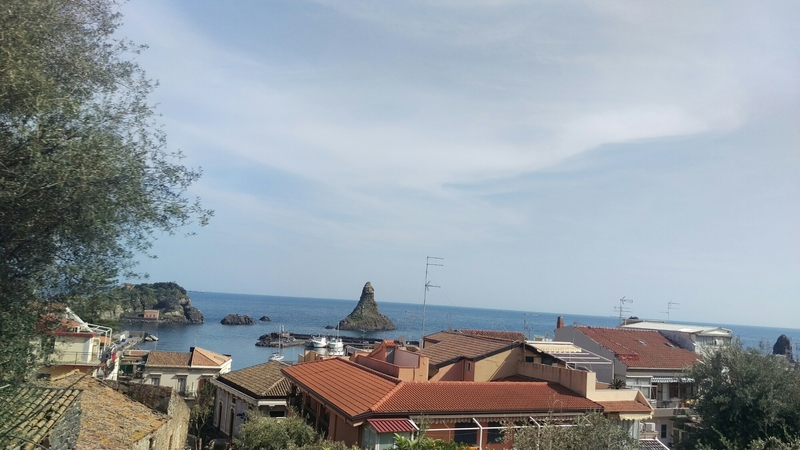 Technically, this wasn’t the same day, but when driving from Mount Etna to Catania, we passed by the rocks (read: the giant islands in the picture) supposedly thrown by the Cyclopes. I thought I would tag it on this post of real locations for ancient myths. Our morning in Ragusa kicked off a day filled with beautiful, bright baroque architecture. 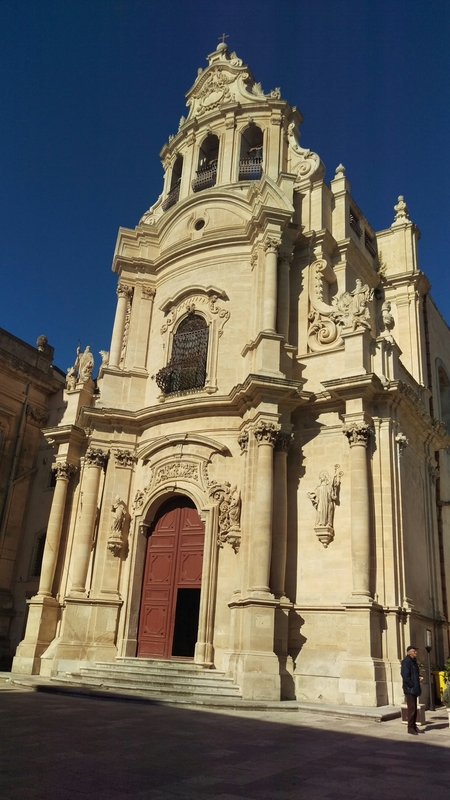 The Duomo in Ragusa is at the top of a hill, boasting the dramatic architecture of its time. The Entasis or bulge of the columns, the fancy Corinthian capitals, and the curvature of the front all show an exaggerated flair of the time. These features, combined with its clever position and bright impact in the sun makes the Duomo a shining crown of the city. 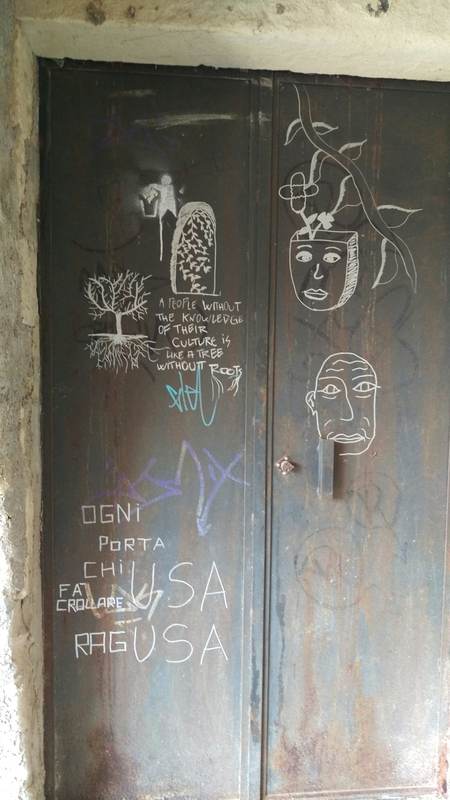 Later, while wandering the streets of Ragusa, we passed by this graffiti. Even though we are not technically studying our own culture, it’s nice that we’re at least growing some roots in a place with such rich architecture, history, and people committed to its culture.